Revision Hip surgery (Re-do surgery on your hip) is carried out if your hip replacement is causing any problems. 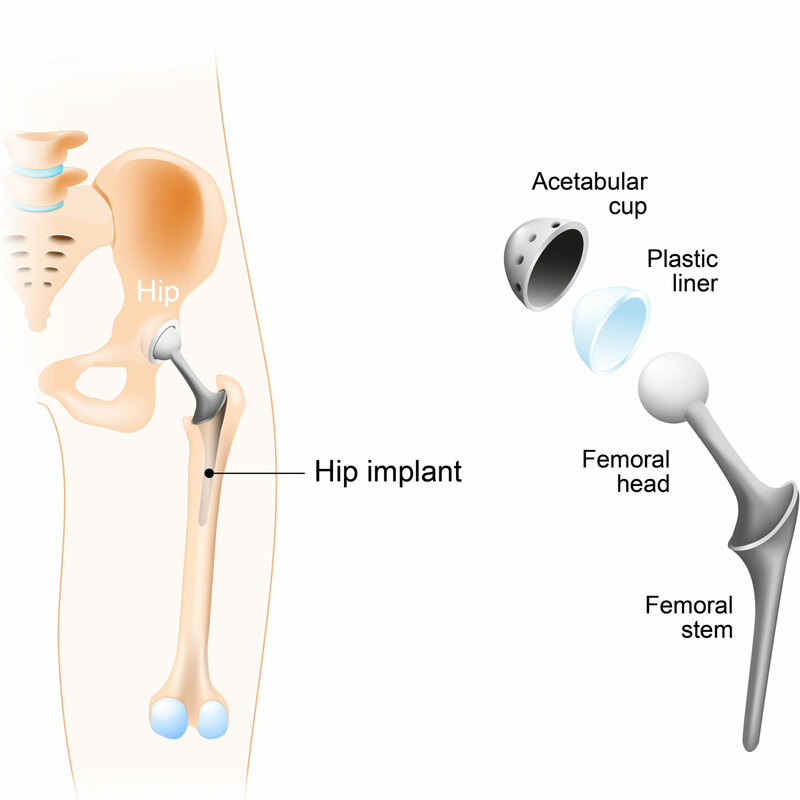 The most common scenario is that your artificial hip has been functioning well for quite some time, but gradually starts giving you problems like discomfort, instability, pain, etc. Occasionally, some patients may develop dislocation following hip replacement surgery. If you get recurrent episodes of hip dislocation, further procedures can be considered. Revision Hip surgery generally involves removing some or all of the old components of your hip replacement, followed by re-implantation of new implants. Careful pre-operative planning is performed in each individual case and the type of new hip replacement is determined accordingly. Overall, revision hip replacement is a reasonably successful operation in modern day surgery. In my practice, success rate of a revision hip replacement is 85% or higher. This does vary on case-by-case basis and I will be happy to discuss this with you during the consultation. Risks of revision hip surgery are similar to that of total hip replacement, but are deemed to be slightly higher. These include infection (around 2-3%), bleeding, DVT (clots in your leg), PE (clots in your lung), stiffness, loosening, wear, persistent pain (around 1%), medical and anaesthetic complications. Precautions are taken in order to minimize all the above risks e.g. use of antibiotic prophylaxis and specialized laminar air flow theatres to minimize the risk of infection, use of blood thinning medications and mechanical methods to reduce the risk of clots, etc. Post-operative exercises are extremely important to decrease the risk of post-operative stiffness. You are generally admitted to the hospital on the day of surgery. Average length of stay in the hospital is 5-7 days. During the hospital stay, a multi-disciplinary team including orthopaedic team, ward doctor, nursing staff, physiotherapist and occupational therapist, treats you. Once you and the team are happy with the progress, you are discharged from the hospital. Post-operative mobilization includes use of walking aids like walker or crutches to begin with. You can subsequently use walking stick/s until independent mobility can be achieved. You can expect some swelling and redness around the wound and of the lower leg for few weeks. Generally by 12 weeks, functional recovery can be expected in most patients. Most patients can expect to drive around 6 to 8 weeks mark. Copyright by FUW 2017. All rights reserved.